Here's hoping for new palettes. 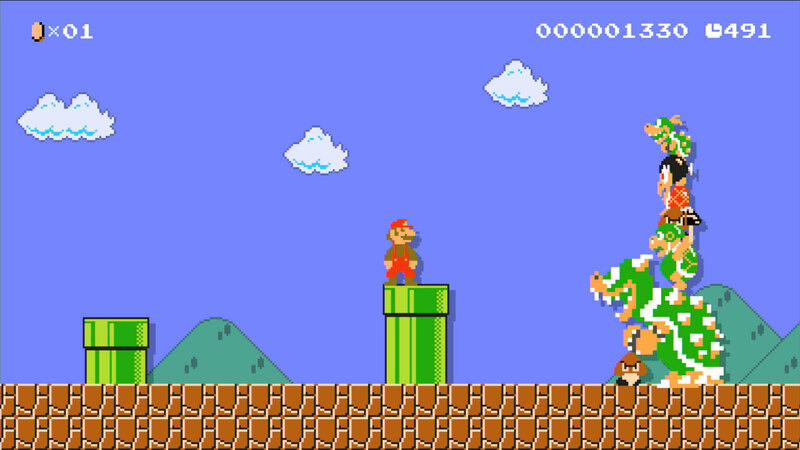 Nintendo's awesome updates continue with an upcoming patch for Super Mario Maker. Although this update isn't quite as big as the last one, it's got a few things that fans are going to love. Regarding gameplay, three items are being added. Soon, you'll be able to place a Bumper, a P Warp Door, and ride in style in a Fire Koopa Clown Car. Coolest of all, in my opinion, is the new Super Mario Maker Bookmark Web Portal, which will allow you to log in with your Nintendo ID and look at all the Super Mario Maker courses. If you see any you like, you can bookmark them and view the bookmarks on your Wii U. There will also be a small addition that will allow you to see the world record for each course. You won't have long to wait for this update. All these features go live on December 22.